If you talk with your hands a lot, you will never have to worry about soaking your date or fellow party guest again! This silicone sling leaves your hands free for all kinds of gestures and activities. 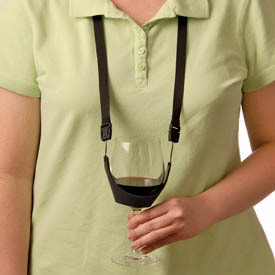 This wine glass necklace is perfect for festivals and parties.s.